In a low snow year, Hunter was reporting most of its terrain open. 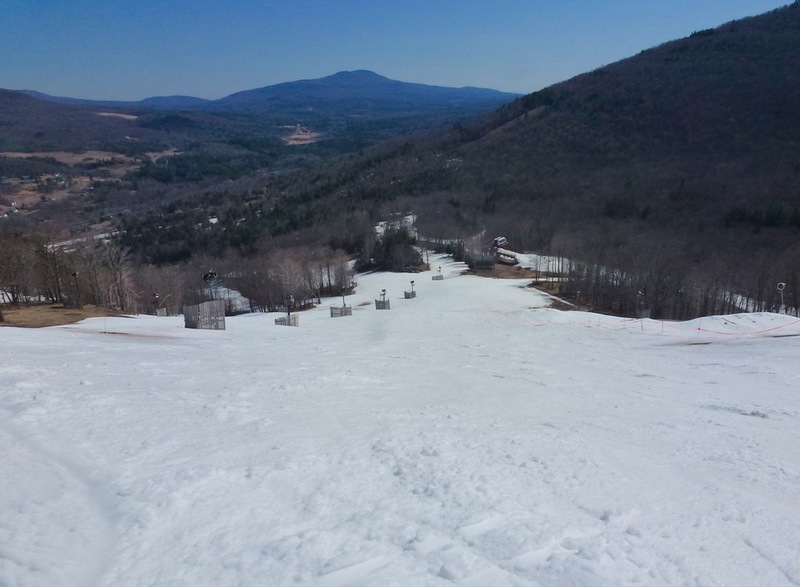 Weather forecasts were calling for a warm and sunny April day in March and I was thinking about Hunter for a day of midweek skiing. Temperatures ranged from the 40s to the 60s on my ride up, base to summit. The baseball hat and sunglasses were mandatory, but I was comfortable in my light ski pants with shorts underneath, a breathable shirt and a windbreaker. Normal for midweek, the lifts and trails were empty. Hunter was hosting the annual fireman’s races and there were plenty of firemen on the mountain, some wearing full gear and some wearing shorts only. There were banners announcing new ownership by Peak Resorts and the availability of the Peak Pass. I worked my way around the trails, the conditions were mostly soft and very skiable. A handful of trails had a very hard base under the corn snow and were the subject of very loud skiing. The only bump run open was Upper Crossover and it was awesome. Lower K27 was closed for the season. I took a few runs on West where only Clair’s Way was open. The middle steep section of Clair’s was icy in spots and I did go for a slide. I was very happy to be fully covered at that point. The classic Hellgate/Broadway/Kennedy remained skiable all day. Both Racer’s Edge and Eisenhower were excellent. The new Peak Pass season passes offer an affordable value that could be a game changer for many. The unlimited Explorer season pass for Hunter adds 6 other Eastern ski resort choices to the pass for an adult price of $599 ($399 for ages 7-17). The non-holiday Ranger pass has unlimited skiing at all 7 areas with 11 blackout days for $499. There is also the Drifter an amazing, unlimited pass for ages 18-29, for the bargain price of $399. There is also an unlimited midweek pass with 5 blackout days for $299. These Peak Pass prices are available until April 30, 2016. In other news, Hunter has discontinued the Big Lift Card. By 3pm, after many fun runs on superb coverage, my legs turned to jello. The temps at the bottom of the mountain were now in the mid 70s, there were only a handful of people on the mountain and the sun was still high in the ski. 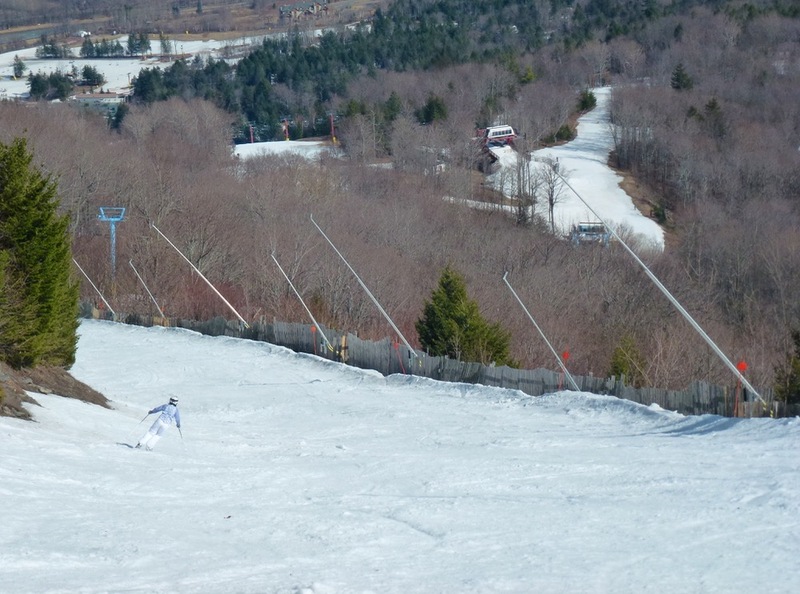 Hunter’s snowmaking once again was shining bright in a warm, snowless winter. The day had turned into one of those perfect spring days that you want to last forever. As I slowly skied down on my last run, I was reminded once again of the incredible joy skiing adds to my life. 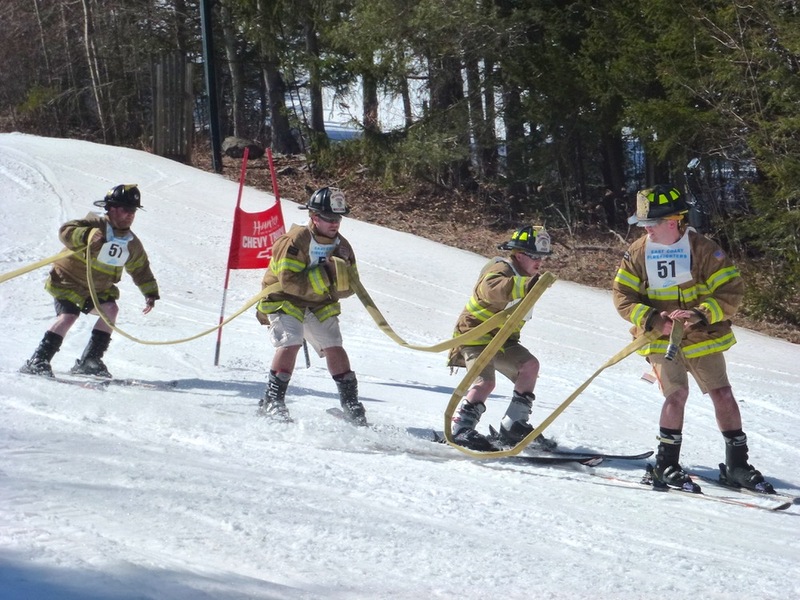 So, what takes 1 volunteer (any random skier) at Plattekill, requires four firemen at Hunter? Or are they purposely trying to ski together with a hose? Ethan I believe that’s a pic of the fireman’s race…they do this every year around the same time. Hunter has done soooooooo much better than most other ec mountains. 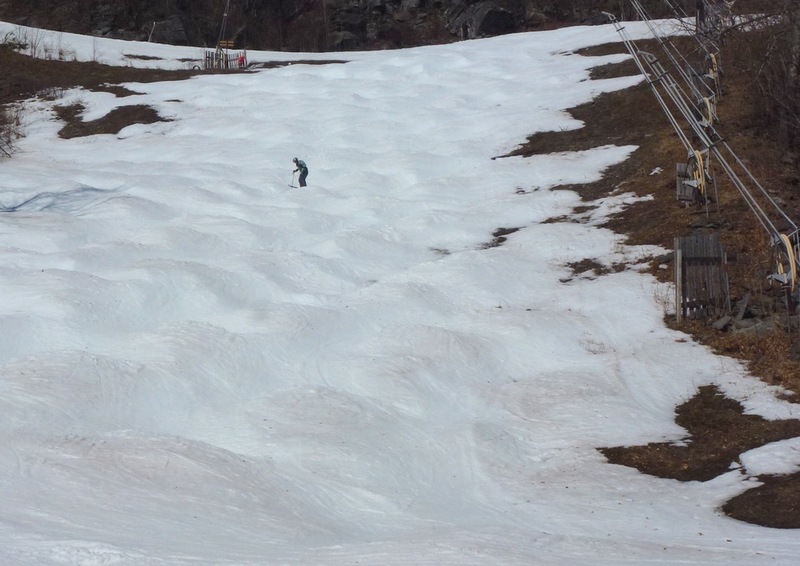 Proof that many places need to up their snowmaking capacity to do well if there’s another bad year.